Max-Hellmuth Ostermann was born on 11 December 1917 at Hamburg. He joined the Luftwaffe as a Fahnenjunker in March 1937. At the outbreak of World War 2 Leutnant Ostermann was serving with I./ZG 1 flying Bf 110 Zerstörer twin-engined fighters. He participated in the invasion of Poland in September 1939. In April 1940, Ostermann was transferred to JG 21. 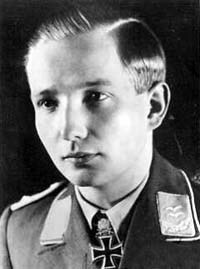 Leutnant Ostermann was assigned to 1./JG 21. On 20 May 1940, he achieved his first aerial victory during the French campaign when he shot down a French Morane 406 fighter near Péronne. He recorded a second victory during the French campaign.  On 6 June, 1./JG 21 was redesignated 7./JG 54. During the Battle of Britain, Ostermann did well recording six victories. Ostermann participated in the invasion of the Balkans. On 6 April 1941, he claimed a Yugoslavian Bf 109E fighter shot down over Belgrade. Following the successful conclusion of the Balkans campaign, JG 54 and Ostermann then saw much action against the Russians over the Leningrad front. He was awarded the Ritterkreuz on 4 September 1941 for 29 victories. In November 1941, Ostermann transferred to I./JG 54. By Spring 1942, he had shot down 40 Soviet aircraft.He recorded his 50th victory on 20 January 1942, his 60th on 1 February and 70th on 20 March. Lt. Ostermann of 7./JG 54 preparing to take off with his Bf 109 F-4 "White 2". His rudder tally shows 33 victories. Russia, September 1941. In February 1942, Oberleutnant Ostermann was appointed Staffelkapitän of 8./JG 54. He was awarded the Eichenlaub (Nr 81) on 12 March. On 31 March, he claimed his 79th and 80th victories and his 89th and 90th on 29 April.Ostermann recorded his 97th victory on 10 May, but was shot down shortly afterward surviving unharmed. On 12 May he became the seventh pilot in World War 2 to achieve 100 victories, although he was shot down in Bf 109 F-4 (W.Nr. 13 125) “Black 1” on that occasion suffering wounds in the process. He was awarded the Schwertern on 17 May. Ostermann was afforded leave following the award and did not return to combat duty until August. On 9 August 1942, Ostermann, flying Bf 109 G-2 (W.Nr. 10 438) “Black 1”, shot down a Russian Curtiss P-40 fighter for his 102nd, and last, victory, but shortly after was shot down and killed in a dogfight with Soviet fighter pilots in the vicinity of Amossovo.